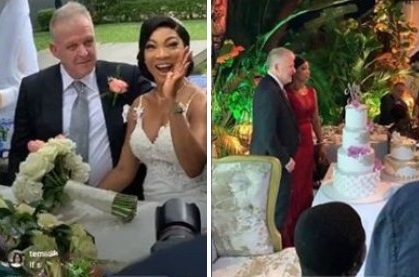 Here are photos from the wedding ceremony of a Nigerian 50-year old woman, Gladys Lasila, getting married for the first time. Too cute! Big congrats!! She looks good for 50. Congratulations to the couple! Congrats to her! God bless her union. She looks younger!